Get involved in your Chamber committees! Through our committees, the GLMV Chamber addresses issues important to your business. 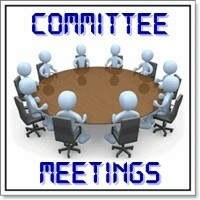 Volunteering on a committee only requires a small amount of time, but it can make a difference! We welcome your participation, ideas and support. Committees provide members with opportunities to enhance and improve the business environment and increase the entire community's success. Chamber members with expertise or interest are invited to participate in the following committees. There is no cost to join a committee! Educate and discuss the use of various marketing tools and vehicles for member businesses. Meets 1st Wednesday, 11:30 - 1 pm, Jimmy's Charhouse, Libertyville. Free to attend. Purchase your own lunch. Helps to recruit and retain membership. Meets 3rd Thursday, 9:30-10:30 am, GLMV Chamber Office. Facilitates the Annual Chamber Winter Dinner 'Starry, Starry Night' to introduce the new Board of Directors, and provide an upscale and memorable evening of entertainment and building connections in a social setting. 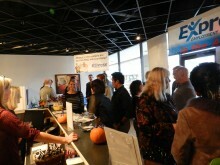 Facilitates the annual spring consumer expo and taste. Facilitates the Chamber's Annual Golf Outing.